A walk-in closet is the dream of many homeowners. Who wouldn’t want a spacious area where they can easily keep all of their clothes and accessories in a neat and organized fashion? Many people never indulge in this dream because they assume they don’t have the room for such luxuries, but the truth is, today’s custom walk-in closet designs allow homeowners to create a wonderfully organized and spacious closet in small spaces as well as large. In fact, walk-in closets are no longer restricted to just the bedrooms. These closets are showing up throughout the house, and investing in the construction of a new custom closet can increase the value of your home as well as add some much-needed storage space. The traditional walk-in closet is designed for the master bedroom. It is large and spacious with plenty of organizational closet systems in place to keep clothing and accessories neat and tidy. The main benefit of these closets is to have everything you need right at your fingertips. You can quickly see exactly what you have available to wear as soon as you walk in. Many are large enough that you can even get dressed in them, but the modern homeowner is thinking outside of the box and having custom designed walk-in closets installed throughout the home. Smaller walk in closet ideas are now being used in the main living area near the front door. These closets are beginning to be listed as an attractive feature in homes that are for sale. The idea behind a closet in this location is to accommodate not only you and your family’s coats, shoes, and other outerwear, but it makes the perfect place for guests to put their belongings as well. No longer do you have to ask for everyone’s coats and place them on your bed. The Walk-in closet is even being added to the bathroom area. A big problem for many homeowners is a lack of storage space for toiletries and linens. Walk-in closet ideas for this important space include multiple shelves for towels, toilet paper, and tissue. Drawers and closed cabinetry can hide personal items, and wire baskets work well for bar soaps, shampoos, and other smaller items. In the kitchen, walk-in closets are being designed as a pantry. This allows the home cook to keep all of their foods, spices, and ingredients well organized. Plenty of shelves are incorporated into the design in varying heights to accommodate everything from canned goods to tall boxes of cereal. Drawers can hold silverware and utensils along with spices. Wire baskets can be worked into the design plan too. These come in handy for potatoes, onions and other produce. Large laundry rooms can also benefit from a walk-in closet for storing detergents, fabric softeners, drier sheets, and other supplies. Racks, hooks, and garment bars are used to hold wet clothes that cannot be placed in the drier along with clothing that is laundered and ready to be put away. Some homeowners are simply turning the laundry room itself into a closet with the washer and drier located on the far wall and shelving, racks, and wire bins lining the walls on each side leading up to the appliances. There are several organizational pieces that can be used in a walk-in closet. These pieces make the closet look tidy while allowing you to see exactly what you have at a quick glance. These organizational pieces can be used in a multitude of combinations allowing you to customize the space to your specific needs. Garment rods are a standard in bedroom closets. These can be longer, reaching across the length of a closet, or shorter. Shorter garment rods are often stacked to create more room to hang clothing. Since most pants, skirts, and shirts only hang down so far, a second bar can be placed under the top bar. This instantly doubles your space. Fixed shelves are ideal for holding bags, hats, and other awkward pieces that simply don’t fit in a drawer. These shelves display items nicely, and vertical panels can be used to section off areas for specific needs. This adds to the organization. Hutch drawers, which look like a chest of drawers, can be incorporated as well with shelving above for even more storage options. Slanted shoe racks are perfect for boots, sandals, sneakers, and other footwear. The angle keeps dust to a minimum and allows you to spot the pair of shoes your are searching for quickly. Include a stool in your design. This gives you something to step up on to reach higher items while also giving you the perfect spot to sit and put your shoes on. In addition to these main walk in closet organization ideas, there are several accessories you can add to your own closet. Fixed or sliding tie racks keep neck-wear wrinkle free. Similar racks are available for belts. Wire baskets can hold odd shaped pieces, and they make the perfect hamper for dirty clothes. Velvet jewelry trays can be placed in drawers to eliminate the need for a separate jewelry box, and coat hooks are ideal for your most frequently used jackets that you will want to grab in a hurry. When installing a walk-in closet in the laundry room, consider adding mop and broom racks as well. The entire organizational system can have a nicely finished look by using toe kick and filler panels to cover empty spaces between shelves, panels, and drawers. A small walk in closet, or reach in closet, is the perfect solution for homeowners with smaller spaces. No longer do those with a smaller home have to do without the luxuries others have available. You may not have the room to design a full-blown walk-in closet, but your designer can help you seek out room enough for a closet that you can still step into. In tight spaces, the shelving can be used from floor to ceiling in order to take advantage of height rather then floor space. When you cannot spread out, you go up. Garment rods placed one over the other also increase storage space. Paint the walls in lighter, bright colors to give the illusion of a large area while allowing you to see items better. Mirrors can also create a bigger appearance, and recessed lighting will fit better than a chandelier style light. The large walk-in closet is what most homeowners have pictured when they begin planning for their new storage space. These are either worked into the plans of a new home or require the use of a spare bedroom in older homes. You can create a master bedroom’s walk-in closet by opening the room up into the bedroom next to it. This bedroom then becomes the closet. Keep in mind that this eliminates one of the bedrooms. One single large walk-in closet can utilize all of the organizational systems available for these closets. They can be customized for one or two people. Couples often use one half of the walk-in closet for themselves and the other half for their spouse. Each individual can choose the organizational pieces that will work best for their needs. When designing the space for one person, there is a lot more freedom in what can be added. Some people will still only store their belongings on one side in order to use the other half as a dressing room or vanity area. Large walk-in closets also provide you with a little more freedom when it comes to decorating the space. Since these are often the size of a small room, you need to approach the decor in the same way you would in any room. You can keep it simple with basic neutral colored walls and carpeting. If elegance is more your style, consider a chandelier for lighting, glamorous wallpaper on the walls, and special features like an island with additional storage or a long bench for seating. With all of these options available, your dream of a walk-in closet can come true. Even if your space is small, the wonderful organizational systems now offered to homeowners allow you to create a custom walk-in closet easily. Don’t think that these storage spaces have to stay in the bedroom. Take advantage of the ability you have to design a walk-in closet for any room of the house where you could use a little more storage space. Need help with your walk in closet plans? A home inspection report is an assessment of a house. It includes a long list of everything that is wrong with the home. The inspection is done before the sale of the property is finalized. This gives potential buyers the opportunity to re-negotiate the price if there are issues that will need to be repaired. Not all of the problems an inspector finds are a big deal, but some of the issues may be significant. The following information will help you determine what you should be the most aware of when reading a home inspection and which items you shouldn’t worry about. The first part of the home inspection report that you want to look over is the primary recommendations. This is also called the summary. This portion covers health and safety concerns. For example, it may state that there is a problem with mold. If you think it may be a harmful level, you can get it further checked out by a mold remediation specialist. This section may also discuss electrical issues that could be a potential for hazard. Even a leaky roof being listed in this portion of the report can be cause for concern. Leaky roofs can create water damage that can affect the wood-framed structure of a house. The home inspection report can also list big-ticket issues. This includes electrical, structural, and mechanical problems. These are the types of problems that will be expensive to repair, and they may be cause for re-negotiating the price of a house. 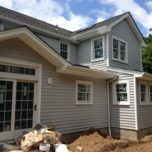 They are not problems that can be easily fixed during a NJ home remodeling project without costing you extra time and money. Electrical issues worth worrying about would be old wiring that is dangerous, faulty wiring, ungrounded receptacles, or outdated knob and tube wiring from the 1950s or before. Structural issues range from older roofs that need to be replaced to cracks in the foundation that can be a sign of structural damage. Finally, mechanical problems are issues related to waste plumbing lines that do not drain properly or low water pressure. Some of the problems revealed during a home inspection can vary in price when it comes to fixing them. For example, termites are common in older houses. 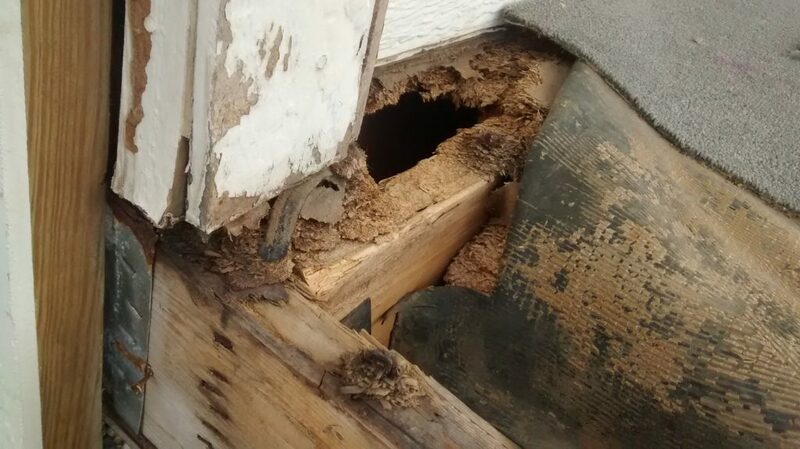 How much it will cost to take care of the issue depends on whether there is an active infestation or simply damage left behind from past infestations. This is something you may want to have the seller fix before finalizing the sale. Mold is never good to find listed on your home inspection report, but it can be removed. The question is for how much. Surface mold is easily taken care of while mold found in the attic due to poor ventilation could require an entirely new roof in order to ensure the mold is removed. No home will have a perfect inspection report unless it is newly constructed. 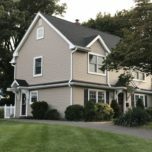 Older homes often have issues that will be noted in the report. Some of these are simply a matter of age while others are red flags. Look at any cracks found in a house as a red flag. As a home settles over time, cracks will appear. Although the cracks themselves seem harmless, they can be a sign of bigger issues. As homes settle, problems such as loose pipes can arise. Original pipes and plumbing may also rust with age. Cracks may even create further problems by allowing pests a way to enter the home. Soil piled up against the house is another red flag. This soil can keep the water from draining away from the structure properly. This water can damage the foundation creating devastating damage. Although every issue deserves a certain amount of attention, there are things that will show up on the home inspection report that won’t affect the sale. Top of this list is appliances. The report may list appliances such as the dishwasher, stove, refrigerator, washer, or drier as not functioning correctly. These are items that you can have replaced during a NJ kitchen remodeling project or replaced with your existing appliances. You can also overlook certain exterior issues. If the siding or paint is listed as being in poor condition, you shouldn’t worry. These are mainly cosmetic problems and shouldn’t change the sale of the house in any major way, but you will want to repair them on your own once the property is yours. This can be discussed with a home remodeling contractor. Although the results of a home inspection report can be disappointing, it does allow you the opportunity to negotiate the cost of the house with the seller. A new offer could offset the price of repairs. You can also discuss whether or not the seller should pay for a portion of the repairs before finalizing the deal. Don’t become stressed over your home inspection report. Look at it as a helpful tool when considering the purchase of a new home. Wouldn’t it be nice to give your spouse or partner a present this holiday season that would make them happy all throughout the year? Giving a loved one the gift of a home renovation is definitely a gift that will keep on giving. It will please them each time they enter that area of their house while possibly providing them with additional storage and organization. Best of all, it can increase the value of your home. Each time they enjoy their newly remodeled space they will lovingly remember the thoughtful gift you gave them. If your partner or spouse is constantly complaining about one room, in particular, your decision as to which room to renovate will be easy. In fact, if you listen to exactly what they dislike, you will even know what direction to take your NJ home remodeling project in. On the other hand, you might want to simply surprise them with something completely different. 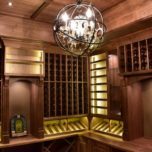 We have a wife that is purchasing a wine room for her husband for Christmas. That is certainly one lucky guy. If you are still indecisive, begin with the idea of a kitchen remodel. The kitchen is the heart of the home, and updating it will increase the value. You can update the appliances, add special, features like an attractive range hood, and design an island that will meet your individual needs. The island can be anything from a little extra counter space with bar stools on one side for additional seating to a command center complete with a built-in microwave, small refrigerator, and farmhouse sink. The bathroom is another popular room to remodel, and anyone would be excited to be the recipient of that gift. You could put in a new walk-in shower, a large tub, and double sinks for luxury and convenience. If space allows, you could even include features like a dressing area or walk-in closet into the design. Whether going large or small with the remodel, be sure to include beautiful new cabinetry that will give you and your loved one extra storage while enhancing the overall look of the room. Along with the kitchen and bathroom, you could consider giving the gift of renovating one of the forgotten areas of your home. Basements can be finished in order to provide you with extra bedrooms and bathrooms, a home office, or a family recreational room. Consider places like the laundry room too. This is usually the last place to get any attention. Homeowners see it as functional, but it can also become a bright and welcoming room that everyone will enjoy using. The holidays are a busy time of year when you are entertaining many of your closest friends and family. 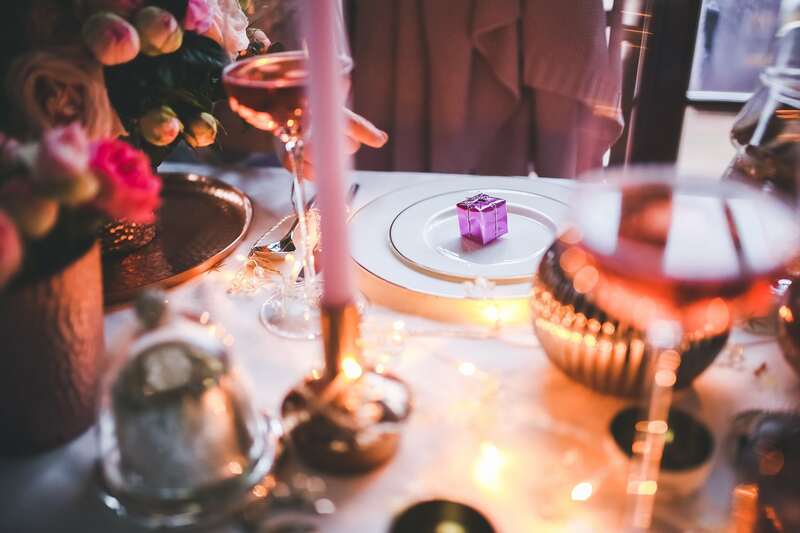 As you host dinners and parties, you may realize just how little space you have. Think of how delighted your spouse or partner would be if you present them with a dining room renovation. Talk to your home remodeling contractor about possibilities such as opening it up into the kitchen and living area in order to create a great room that is ideal for entertaining. Although a home remodel is a wonderful gift idea, it can be hard to give as a present. You can’t exactly surprise someone with a newly renovated room while they are living in the house, and it certainly isn’t the type of gift you can wrap and place under the tree. Fortunately, there are ways you can still have the thrill of opening a present and surprising them. All it takes is a little creativity. If you are planning on remodeling the bathroom as your loved one’s gift, buy them a new set of luxurious bath towels. Wrap them up with a note tucked inside that announces the renovation. The same can be done form a kitchen by giving a new set of dishes or cookware in the same manner. You will have the fun of seeing the expression on their face, and they will have an actual gift to open on Christmas Day. No matter what area of the house you, decide to remodel or how you plan to present the idea, a home renovation project can be the perfect gift for your spouse or partner. It will, be a gift that keeps, on giving by offering you and your loved one an updated, organized room that you will both treasure for many years to come. 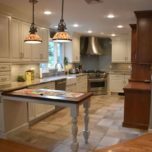 Get your kitchen renovation completed on time and on budget with a local NJ kitchen remodeling contractor that is there for you before, during and after your project has been completed. Enjoy a stress free kitchen remodel with amazing results that will look like you spent a fortune! The average kitchen remodel takes hundreds of hours to complete with dozens of skilled tradesmen working together simultaneously. Having every trade and material delivery show up when they are needed requires detailed planning and organizational skills, but if just one trade contractor or material delivery does not hit the mark, the entire schedule will have “slippage”. 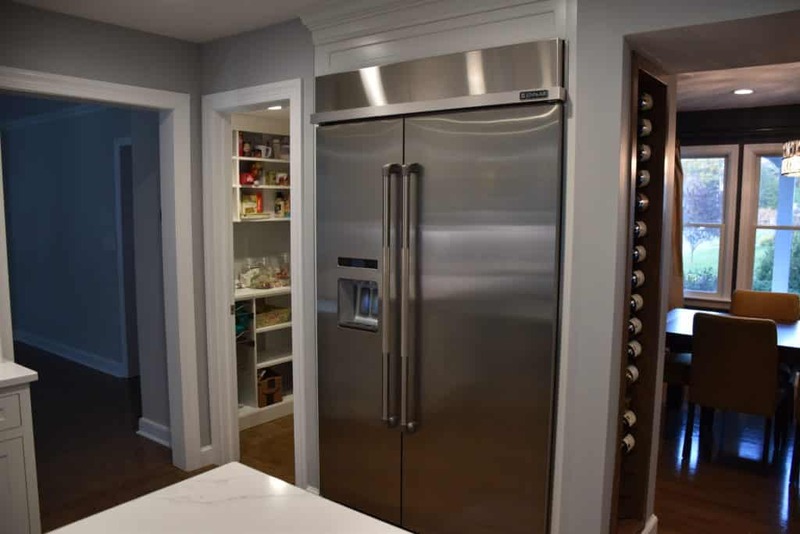 This is where the kitchen remodeling contractor, with a well established network in New Jersey, can leverage the power of long standing relationships to bridge scheduling gaps and deliver your kitchen remodeling project on time without compromising the final product. Wouldn’t it be nice to not have to worry? That’s just what you get when you hire a NJ kitchen remodeling contractor and everything is under one contract. 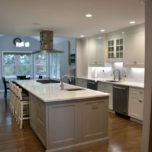 That’s because the kitchen remodeling contractor is aware of all the items that go into the kitchen renovation as you work through the process together. In addition, the tradesmen who are working on your kitchen remodeling project know one another, all get along well and understand they are completing the kitchen remodel as a team that is being directed by the kitchen remodeling contractor. Hiring multiple contractors to complete a kitchen renovation opens the door to misunderstandings with an unknown end result, each may be good tradesmen but it’s anyone’s guess if they’ll work well together and when it does not go well, the finger pointing begins. And then there are all the details that are missed since the various contractors are not communicating with one another. 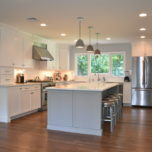 Another great advantage of hiring a NJ kitchen remodeling contractor is being able to utilize their trade discounts. 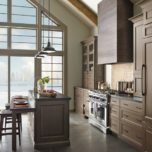 In today’s highly competitive market place there is no room for a kitchen remodeling contractor to pad the bottom line on material purchases, instead kitchen remodeling contractors are passing on their trade discounts to their clients which is great for keeping the overall costs of a kitchen renovation as low as possible. To cover their costs the kitchen remodeling contractors are adding an administrative line item to their proposals. 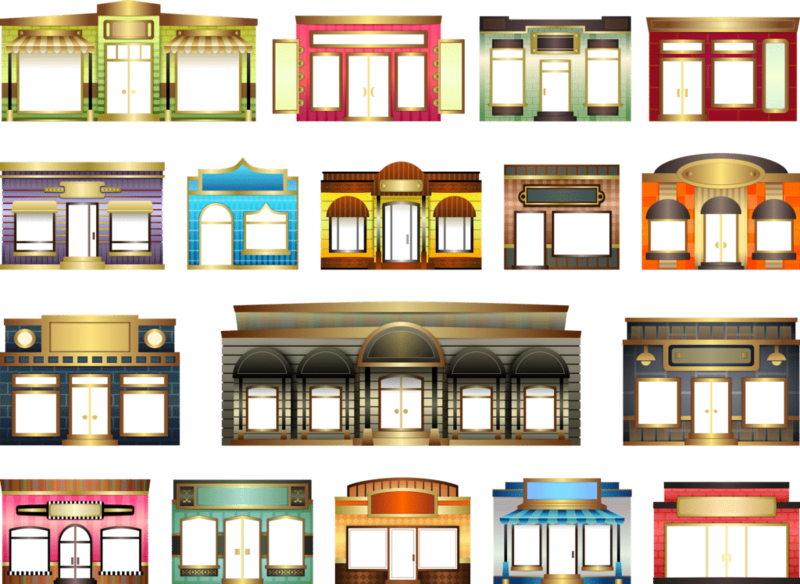 Some local stores advertise that that pass on trade discounts to consumers that come in without a contractor,and while that may be true, the level of discount often varies greatly when compared with a kitchen remodeling contractors account who does a large volume of business with a select group of NJ kitchen remodel vendors and other local resources. Hiring a well established kitchen remodeilng contractor who has a brick and mortar location in the Bergen/Passaic County NJ area can provide you with a piece of mind knowing that they have made an investment not only in their own company but in the community they serve. It also allows you to view the latest kitchen design trends, cabinet displays, cabinet door styles and finishes they offer to make sure you are happy with the selections before you make a commitment. There is no better feeling than walking into the place where you purchased your kitchen cabinets from a few years earlier to address some miscellaneous service item that has come up and the same individuals are there, remember your job and know exactly what you need. 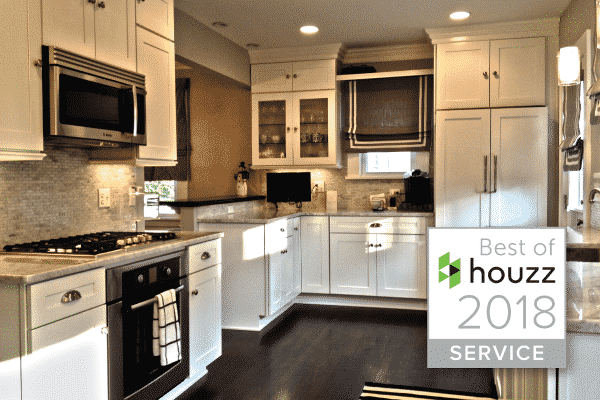 Being provided with a high level of customer service before, during and after a kitchen remodeling project goes without saying when you’ve hired a well qualified kitchen remodeling contractor. That’s because of their passion for excellence and an unwavering commitment to satisfied clients. “In the end you will be happy, and if you are not happy, it is not yet the end”. Ready to hire a NJ kitchen remodeling contractor? 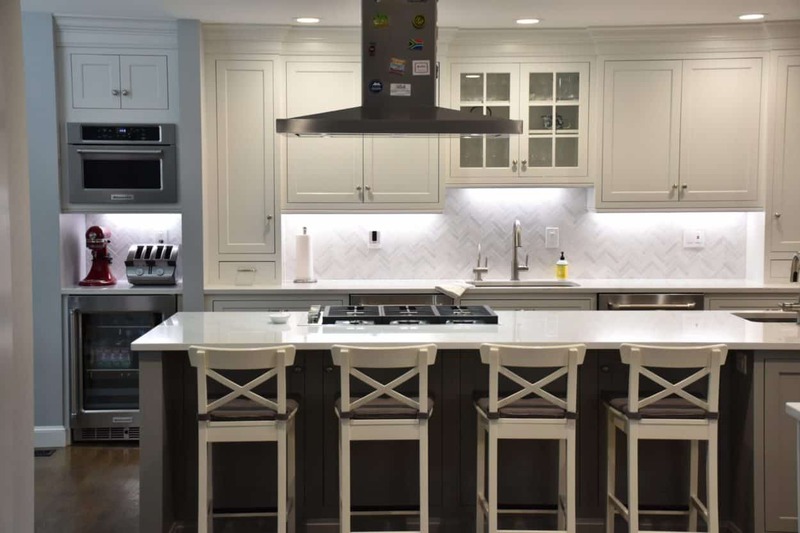 As NJ Kitchen Designers, we have often found that the best places to source products and services for your kitchen design are closer than you think, usually they are right in your own backyard and North New Jersey is no exception! Selecting materials for your kitchen remodeling project can be an overwhelming and time consuming process. Working with a kitchen designer that will guide you through the process and assist in making the selections will certainly lighten the burden. Another key factor to making the most of your time is to use local resources that are close together, Hawthorne, NJ, nestled between Ridgewood, Glen Rock and Wyckoff, is a prime example, it truly is a kitchen designers paradise. I like to think of Hawthorne, NJ as the center of the hub, with offerings that range from kitchen countertops, tile, plumbing to electrical stores. Many other resources such as appliance showrooms are just one town over with an added benefit of lower NJ Sales tax, 3.3125% to be exact. When we design a kitchen we start with a well thought out concept, from there we continue to shape and refine the design. The kitchen cabinetry can be designed and planned using standard sizes of appliances at this stage but we will have to defer to the appliance manufacturers specifications before we order the cabinets. Once we have a good solid kitchen design in place it’s time to incorporate the appliances into the mix. So let’s go shopping! Reno’s Appliance designer showroom in Paterson, NJ offers the largest selection of different brands and styles of appliances with over 12,000 square feet of displays including a large area dedicated to outdoor cooking and barbecue. Located in an Urban Enterprise Zone, Reno’s Appliance in Paterson collects only half the current New Jersey sales tax rate to customers taking delivery within the state of NJ. You can expect an excellent customer service experience, fresh coffee, snacks and more while you’re selecting your kitchen appliances. Yudin’s Discount Appliances is a family-owned discount appliance store with locations in Wyckoff and Passaic, New Jersey. Since 1972. Yudin’s Discount Appliances is an authorized dealer of such brands as Bosch, Amana, Whirlpool, Maytag, GE, Frigidaire, Electrolux, Kitchen Aid, and more. We can help you select your new major kitchen appliances at any budget. Sometimes you already have a great place you know and trust, businesses that service local neighborhoods offer so much more than the big box store alternatives. The next step is to start looking at countertops, floor tile and backsplash tile. It is always recommend to take along your cabinet samples when selecting the countertops and tile. Look for a contrast of sheen between the materials and pay attention to the temperature of the colors, they should all be in the same range, nothing too high or too low. As you walk around hold up your kitchen cabinet samples, when you find the right one the colors will snap into place and you won’t have to think whether it’s right or not. 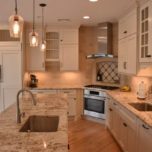 Artistic Marble & Granite of Hawthorne, NJ offers a wide variety of unique granite, marble, quartzite and soapstone countertops that are sourced from all over the world. All of the slabs of material are kept in an indoor climate controlled facility making the viewing and selection process very enjoyable. Once you have made your selection they transform the raw slab into your finished kitchen countertops using state of the art Equipment that is located right on the premises, you can take a peek back there to see the work in progress, truly fascinating. Established in 1987, OHM International Inc. is an importer and wholesaler of high quality natural stone products. They have the largest indoor selection of quartz material in the area which makes it an excellent place to view full slabs of quartz countertops at their Lyndhurst, NJ facility. Many fabricators do not stock the material so if you can’t make a decision off a small sample, this place is a must. Appointments are recommended if you plan on going on a Saturday. Trueform Concrete is based out of Wharton New Jersey, they bring a unique perspective to the functional and practical use of concrete. Trueform Concrete fabricates decorative precast concrete products for both residential and commercial applications, specializing in concrete countertops, concrete bathroom sinks, concrete tables, fireplace surrounds, and many other quality custom concrete products. 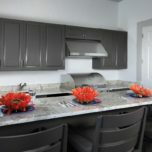 If you’re in the market for something different, concrete countertops maybe right for your project. Many options exist to put your personal touches into the design from inlays of steel to sea shells from a family vacation, the possibilities are endless. Other great features like tweaking the color or making an oversized island without seams can help resolve difficult applications where other materials fall short. Wayne Tile, Founded in 1955 by Bob Westra, with brothers Harry and Don joining the business a few years later. Wayne Tile continues to be a family owned and operated business. 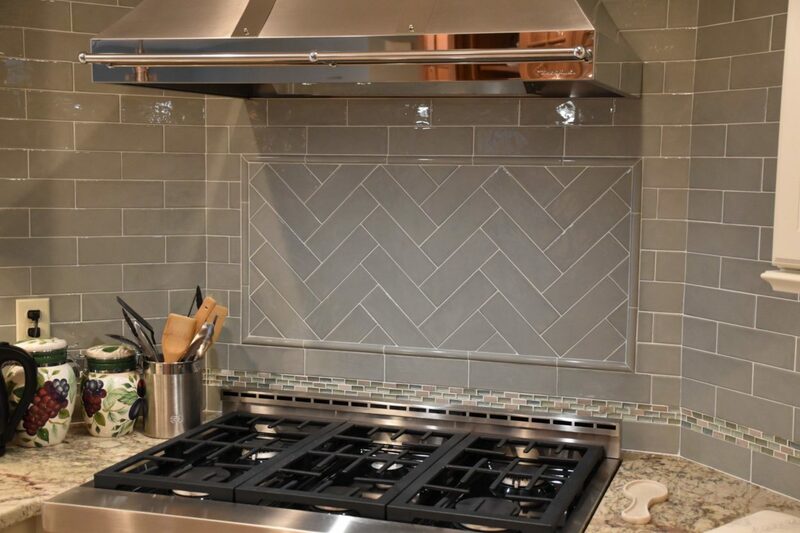 From its humble beginnings in a small garage with three different tile colors to choose from, the company has grown in the past 60 years to be a leading distributor of tile. Today with five showrooms and design centers, and 110,000 square feet of warehouse space, Wayne Tile carries over 100 lines of tile from around the world. Our favorite showroom is located at 50 Spring St Ramsey, NJ, everytime we’re there we discover something new and exciting. There is so much to look at it is mind numbing, here are a few tips to keep you focused. Just walk the store and take it all in, then look closer at the sizes and shapes of the tiles, then look at the colors and textures. As you notice these items you should see pattern in what you like and dislike, try to convey this information to the sales/design staff and they can point you in the right direction. Artistic Tile has locations in Secaucus and Paramus, NJ, they are one of the largest wholesale distributors of luxury stone and tile in the United States. Need help planning your kitchen remodel? Give us a call, 973-636-0100.